The families of ten people who were killed in gunfire during three days of shootings in west Belfast in 1971 are hopeful that fresh inquests will give them answers. The inquests investigating an episode bereaved relatives refer to as the Ballymurphy Massacre will begin in Belfast on Monday. 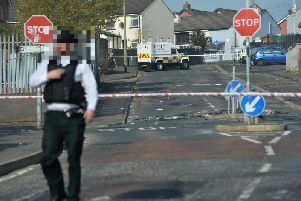 In 2011, Northern Ireland's Attorney General John Larkin directed that new inquests be heard after a long campaign by family members, who claimed the original coronial probes in the aftermath of the shootings were inadequate. Coroner Ms Justice Siobhan Keegan confirmed the inquests would proceed as scheduled on Monday during a final preparatory hearing in Belfast last week. Briege Voyle, whose mother Joan Connolly, 44, was one of 10 people killed in the incident expressed hope that a long-awaiting inquest could deliver truth. "We've waiting this long for it to come, it's a wee bit hard to believe that it's actually happening, but at the same time we are just so glad that it's here," she said. "We think that after 47 years we are going to get some form of truth." John Teggart, whose father Daniel was one of those killed, added: "The determination to clear our loved ones' names is not because we are trying to rewrite history but because we are correcting history." A Catholic priest was among the 10 fatally injured in the shootings, involving members of the Parachute Regiment. Soldiers have long been held responsible for killing all 10 people in Ballymurphy between August 9 and August 11 1971, but the accepted narrative became clouded earlier this year when former members of the paramilitary Ulster Volunteer Force came forward to claim their organisation was also involved. Opening statements in the inquests will be heard this week, followed by personal statements from relatives of those who died. Evidence in the first inquest will be heard in the week commencing November 28.